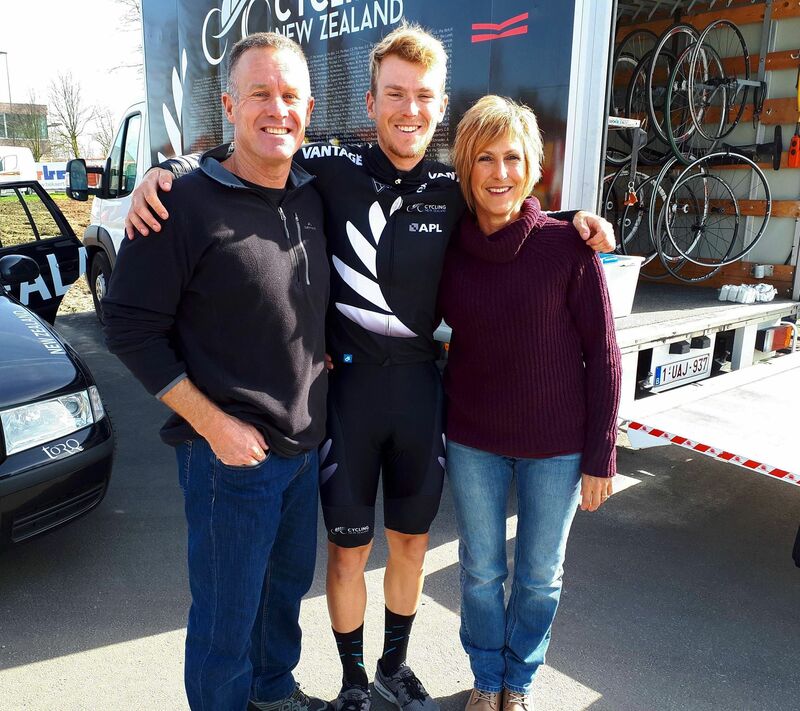 After a good ride at New Zealand nationals, and a stage win and 3 days in the race lead at the New Zealand Cycle Classic, Nick Reddish was given the opportunity to represent New Zealand at the 3 famous under 23 Nations Cup rounds in Europe. Here is his take on 6 crazy weeks in Belgium. In early March I travelled to Belgium for my very first taste of racing in Europe. The opportunity presented itself after the New Zealand Cycle Classic earlier in the year. I was selected in the New Zealand u23 cycling team to compete in three UCI Nations Cup races throughout March and April. The three events included Gent-Wevelgem, Ronde van Vlaanderen (Tour of Flanders) and ZLM Tour. With the courses following many of the roads of the historic professional editions of the race, the opportunity to race over some of the roads I’ve watched the pros suffer over on TV since I was a kid would be very special. As a rider you hear so many stories come out of Belgium. The good, bad and the ugly. These crazy stories are also amplified the second people find out you are going. I had trained well, and felt prepared and was excited to see what I could do. The organisation and build-up to the racing was quite rushed. A few things beyond my control before we left made everything very last minute. Traversing from one corner of the globe to the other always involves hours of cramps, transfers and bad coffee. But before I knew it, I was into my first 1.12A kermesse race. 170 dudes, minus 2 degrees, a 7km circuit with a few sharp corners. Flag in and GO! What could go wrong? Well, nothing really…it was actually a lot of fun. I got a lot of confidence with a top 20. 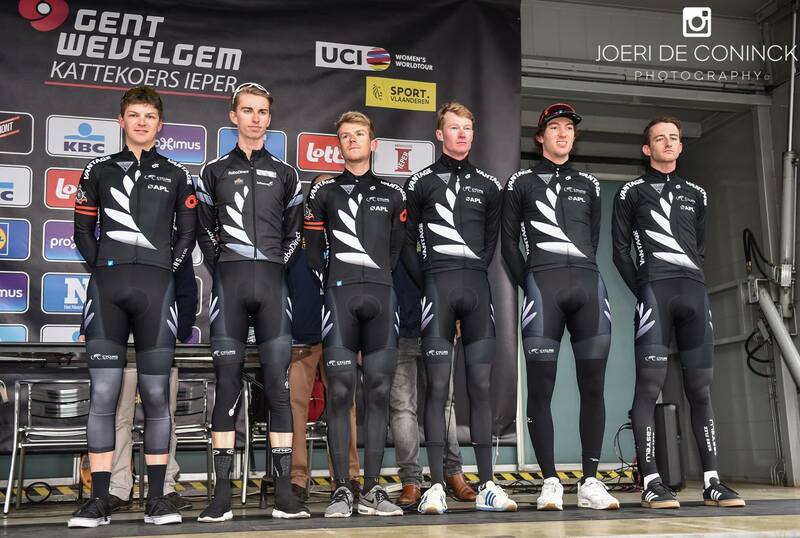 Gent-Wevelgem was next, the first UCI Nations Cup race. It was a special race for team New Zealand as we commemorated the 100 the anniversary of the NZ Cyclist Corps that served in Belgium in WW1. The race was insane from the get go. I thought the Asia Tour was crazy! Lots of nervous riders wanting to show what they could do, but that contributed to lots of crashes, one of which I was involved in. I was caught behind another crash at the bottom of the famous Kemmelburg, where I had to get off my bike to get around the crash on the narrow road (just like you see the pros have to on TV). This unfortunately meant day over for me. I learnt a lot about positioning the hard way but it was a great experience and it was still a lot of fun! It was then onto round 2. The Ronde van Vlaanderen. Which was very, very cool. 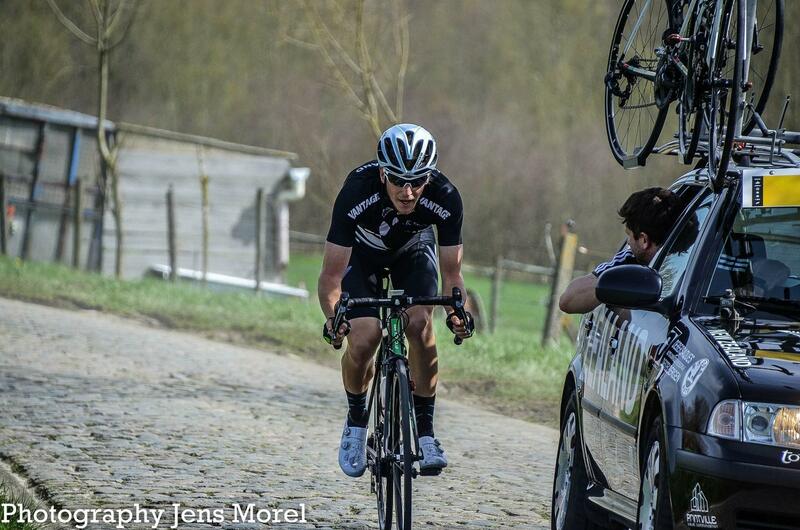 The cobbled climbs are like nothing else. The convoy is not somewhere you want to be in a race like that, but I found myself there again after a puncture on the second cobbled section. After 30 minutes of chasing, a new FTP and a whole lot of hurt later I was back. In hindsight I actually had a really good day at the Ronde and was happy with how I suffered around the course. There is something about hurting on those roads that is really enjoyable in a weird way. It’s a love hate relationship. Two days before ZLM I crashed badly in a kermesse. Not my fault, I swear! I trashed my bike, broke a rib and was discharged from hospital with my arm in a sling with a possible fracture of my elbow. Again, not the best luck I’ve ever had but there we were. I won’t lie, I didn’t feel great. But even so I just wanted to start ZLM. It was a long way to come and not race. I really felt the first half of that race but managed to stay upright in a sea of road furniture and crashes on a borrowed bike. Hello there good fortune! Better late than never. I finished in the second group after the peloton split in a crosswind with 10km to go of the 180km race. I was really happy with despite the week that I had. Looking back at the six weeks I had in Belgium, I have mixed emotions. Obviously, I’m disappointed that I couldn’t get a great result and am a bit frustrated with the amount of crashes and bad luck that I had, especially because I felt like I had done everything I could to prepare, and I had good form for my time over there. I guess that’s just the nature of sport. Especially in Belgium! Cycling can be so great but can also be brutal to you at times, often in rapid succession! I really learnt alot about the sport which I can take forward. Belgium is such a mecca for cycling. It’s is beautiful place to ride a bike, has a wealth of history, and they know how to run a bloody good race for 12 euro. The racing is so difficult, yet in a way it is so simplistic. You go hard, you fall, you get up, and you go hard again. For now, I’m looking forward to getting home and cracking into training again to get ready for the NRS and some more UCI races. Oh yeah… and finish that university thing. Nick Reddish is a 21 year old from New Zealand who has ridden for Oliver’s Racing since 2015. He is in his final year of a Bachelor of Communications degree at the University of Waikato.